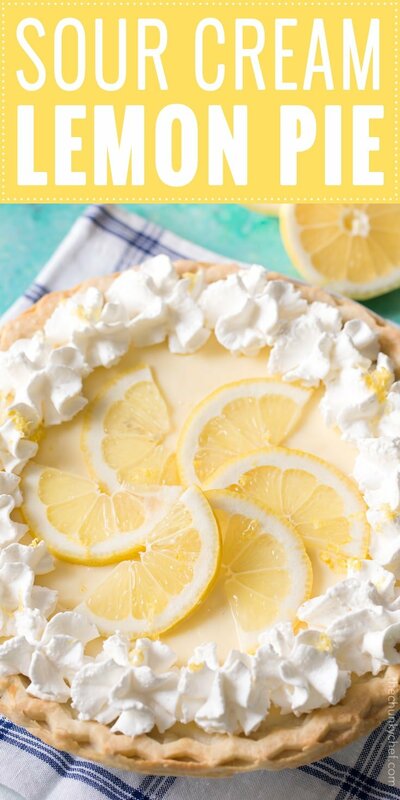 This lemon pie is almost no bake, and the homemade lemon custard is folded with sour cream for an ultra creamy tang that is perfect for summer! 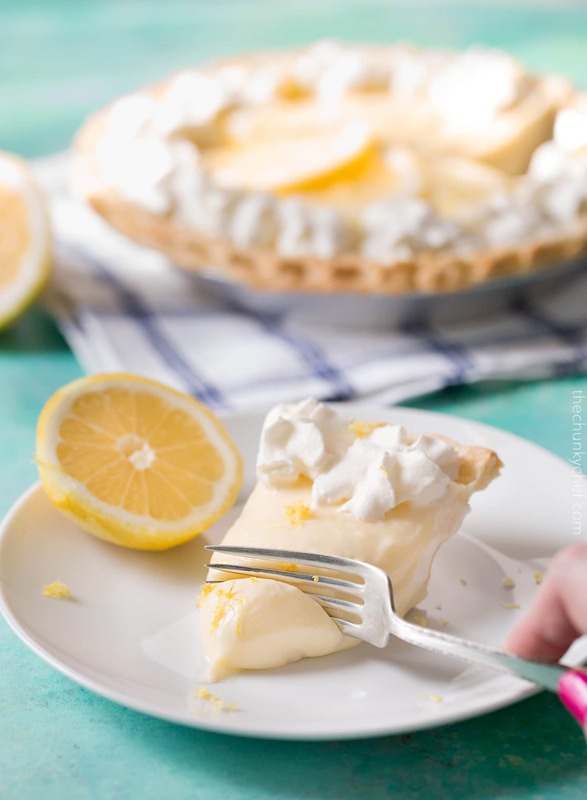 This rich and velvety smooth sour cream lemon pie is a classic at diners across the country, yet it’s easy to make right at home! After pre-baking the pie crust, the filling is no bake, which makes for an ultra easy dessert that’s perfect for warmer weather! To me, there’s no more iconic dessert than pie. 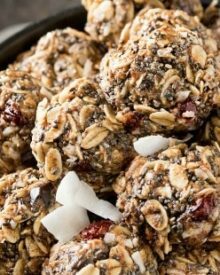 So many varieties… from cherry to chocolate, no bake to frozen… you really can’t go wrong! I don’t know about you guys, but I think summer just screams LEMON, so you know I had to bring a lemon pie to the table! 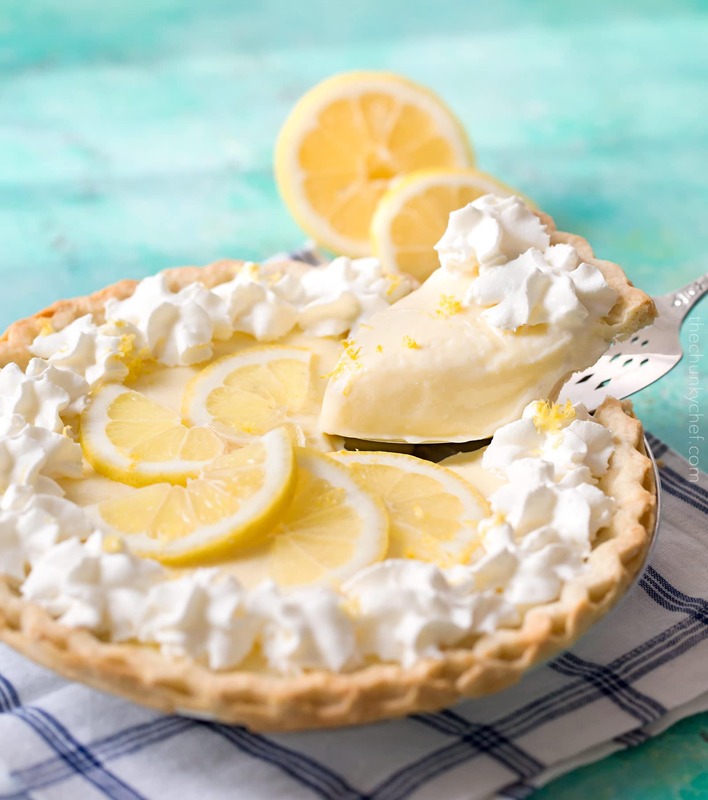 I’ve never been a meringue fan, so when I was flipping through an old Taste of Home magazine and saw this recipe for a sour cream lemon pie, it was like a total lightbulb moment… this was THE pie. I love these kind of pies, where there isn’t a whole lot of actual pie baking going on. I consider myself a reasonably good baker, but pies always seem to fail me. I have a fantastic crust recipe, that I know works (it’s my great Grandmother’s), yet I always seem to mess it up, and I can NEVER get the beautiful crimps on the edges. So usually I stick to cookies, skillet brownies and various no-bake desserts. It’s easier than feeling like the only dolt around that can’t bake a decent pie lol. Speaking of pies, did I ever tell you guys about the time I made pecan pie “soup”? OMG, I have to tell you… even though it’s embarrassing lol. About 8 or 9 years ago, I decided I wanted to bring the pecan pie to our family Thanksgiving. Now bear in mind that my Mom makes an AMAZING pecan pie, so I already had some big shoes to fill, and I had never even attempted pie before. Go big or go home right? Instead of trying to make a crust from scratch, I figured I would buy a frozen one and no one would even know. Except I didn’t know that I’d have to thaw it before baking…. I prepared the filling according to my Mom’s recipe and was so excited as I slid it carefully into the oven. As the baking time was up, I gleefully opened the oven to see if it was finished. It. Was. Liquid. No part of it was cooked. Frantically, I called my Mom and she assured me the baking time was right, and to try 10 more minutes. No go… still soup. When I confessed to her that I’d used a frozen pie crust (unthawed), we figured out that was the culprit. I baked and baked and baked it, and eventually got the edges to resemble a baked pecan pie, but the center was still essentially… pecan pie soup. I will NEVER live that Thanksgiving down, but I also won’t make that mistake again lol. I’ve successfully baked a pecan pie since then, but I still get a little nervous before baking lol. But this sour cream lemon pie is a cinch to make, all you have to do is make sure your custard is cooked enough so it thickens up. The pie looks a bit droopy in these photos because it was HOT in the house when I was trying to take the photos. You want the custard to look like a loose pudding, and make sure it’s chilled for at least several hours. 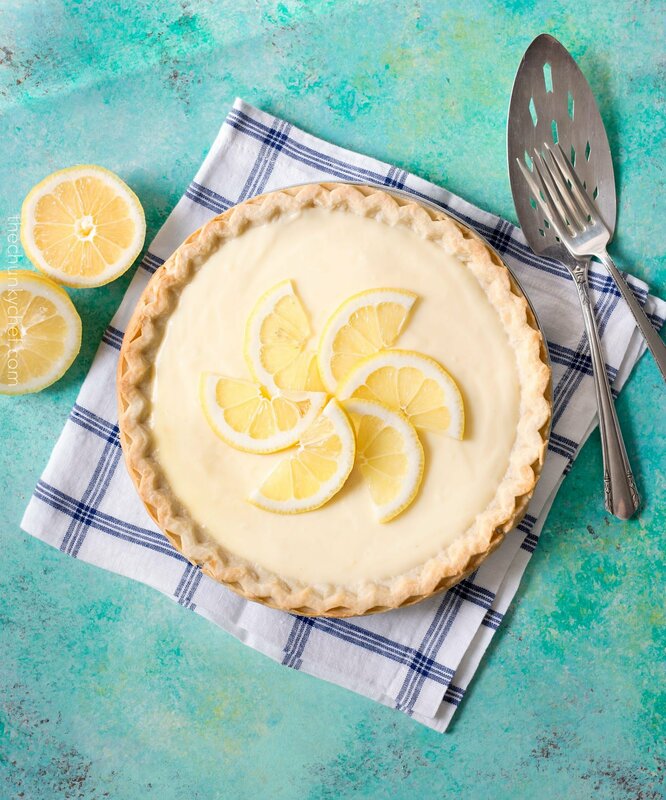 One bite of this sour cream lemon pie and you’ll be singing it’s praises! It tastes like pure summer! 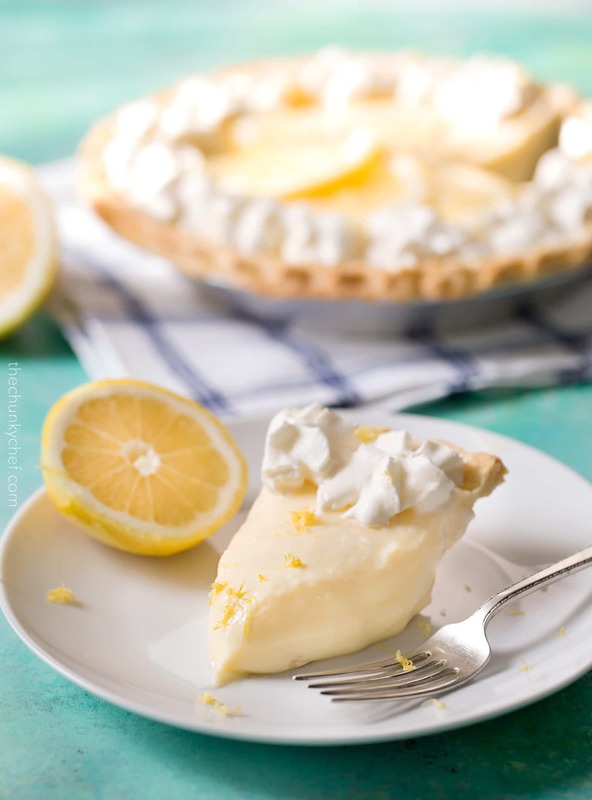 WANT TO TRY THIS SOUR CREAM LEMON PIE? 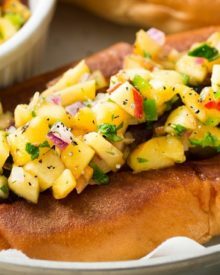 PIN IT TO YOUR DESSERTS OR SUMMER BOARD TO SAVE FOR LATER! Preheat oven to 450 degrees F. Line the frozen crust with heavy duty foil (or two sheets of regular foil) and fill with dried beans, rice, or pie weights. Bake 8 minutes, remove weights and foil, bake another 5-7 minutes. Cool completely. To a heavy bottomed saucepan, add sugar and cornstarch. Whisk to combine and slowly whisk in milk and lemon juice. Heat over MED-HIGH heat, stirring often, until mixture is thickened and bubbly. Reduce heat down to LOW, and cook 2 minutes longer, stirring very often. Remove from heat. Lightly beat eggs in a small mixing bowl. Whisking continually, stir in a small amount of the hot lemon mixture (no need to measure), then return mixture to the hot saucepan. Heat pan over MED heat until it comes to a gentle boil, and continue to cook for 2 minutes. Remove from heat again and stir in cubed butter and lemon zest. Continue to cool, but don't stir. Cool mixture for about 30-40 minutes, then fold in sour cream until no white streaks remain. Spoon mixture into the prepared pie crust and spread out evenly. Cool in the refrigerator for 4 hours (or more). To serve, top with optional whipped cream and slice. This looks so good, but I have one question. In step 3 you say to beat the eggs, and then add a small amount of the hot liquid while whisking, and then return mixture to the pan on the stove. Do you mean for us to add the hot liquid a little at a time, and then return that mixture to the pan? Or add a little bit to the eggs, and then mix that with what’s in the pan? I know adding the hot liquid a little at a time while whisking is to make sure the eggs don’t become scrambled. I am a novice baker, and want to make sure I do it right, lol. Thank you! 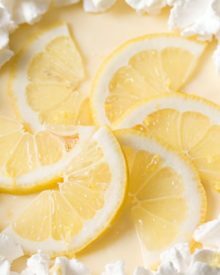 That sounds soooo good, I LOVE creamy lemony desserts like this! 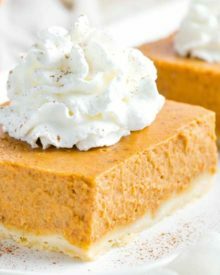 The texture of this pie is perfect! I love it! While I do love a good lemon meringue pie, I have a feeling I’d enjoy this one just as much. Perfect for summertime! Great recipe! Funny to read about you pecan pie adventure, I had a similar experience with my first pecan pie. For me it wasn’t the pie shell, instead it was using too much syrup. Glad I found your site, it’s a good one to follow. I love a good pie! This one is a must make! Summer and lemon just go together! This is such a pretty pie too! Love the addition of sour cream! This looks dreamy. We love all things lemon in the summer time! This looks amazing. I love your pecan pie soup story – hilarious! And that Sour Cream Lemon Pie looks scrumptious. I agree with you on summer and lemon pie.